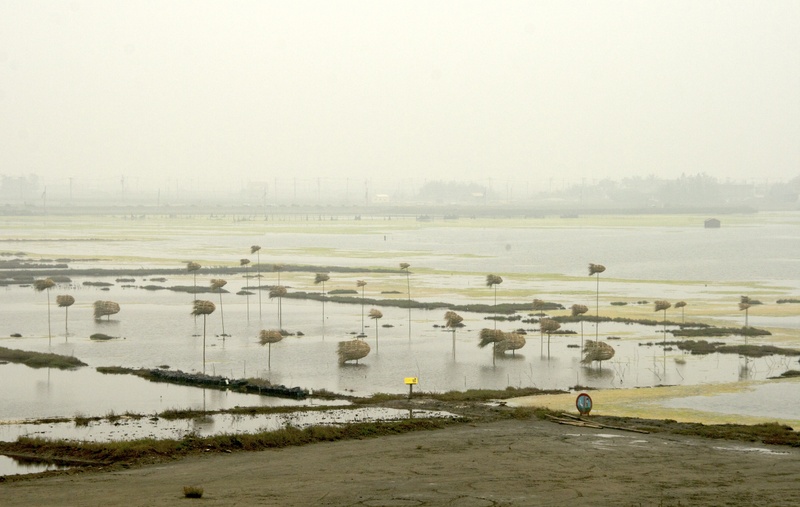 These are some photos of the artworks created for the Cheng Long Wetlands International Environmental Art Project in 2010, 2011 and 2012. When I was there for the 4th year of the art project in April 2013, I went around to take photos of all the works done in previous years to document how they have survived and changed over the years. 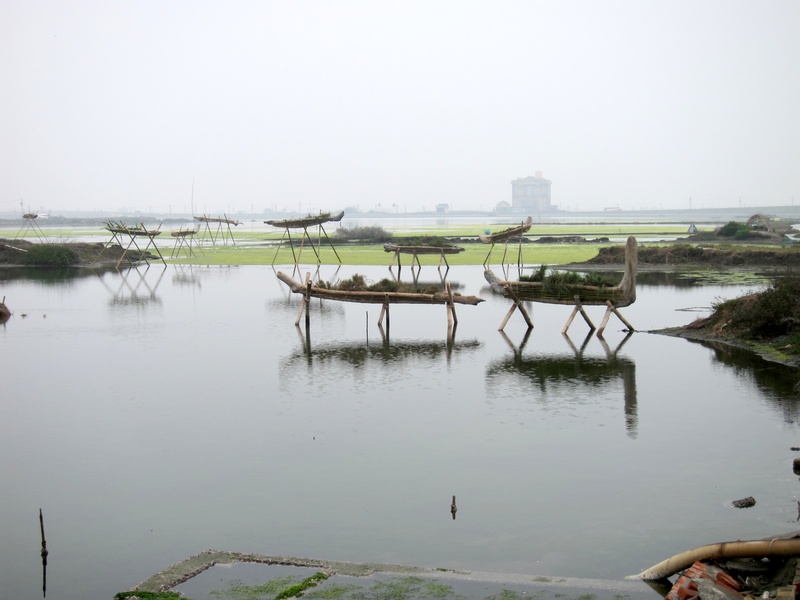 As the curator for the Cheng Long art project, I go there each year for the new installations, and one of the interesting things I saw this year was how some works continue to survive well and others go back to nature or change dramatically over time. 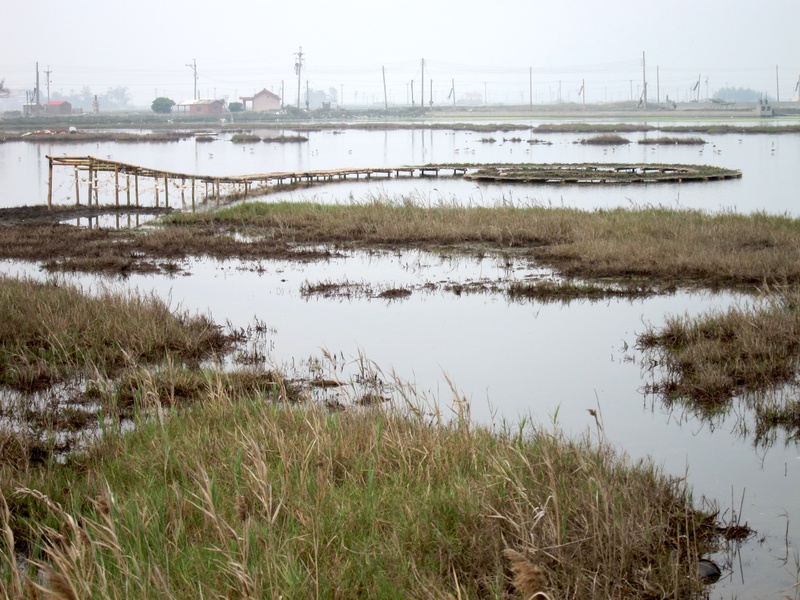 Some have even disappeared almost entirely, and some have migrated to other parts of the Wetlands. 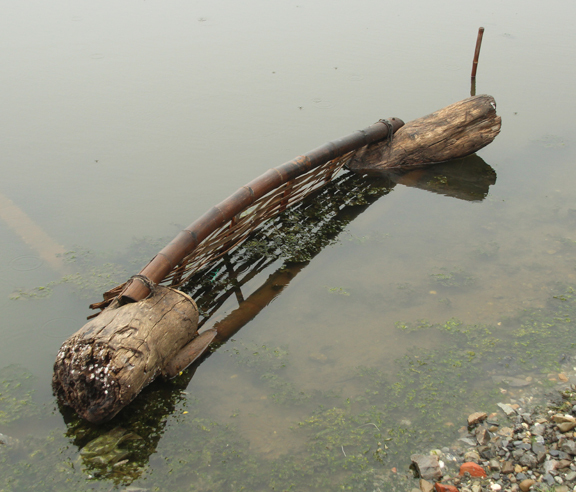 The artists selected for this art project use natural materials and processes that are not harmful to the environment of the wetlands, and we usually leave them in place until they decompose naturally, unless another artist wants to use the same place. The changing artworks continue to give aesthetic pleasure and cause us to think. Looking at these images can raise some questions about permanency and environmental art, and about how art and artists can affect the environment by what they do. It also raises questions about when does it cease to be an artwork and become just a ruin. I think even the ruins are interesting thought-provoking objects. 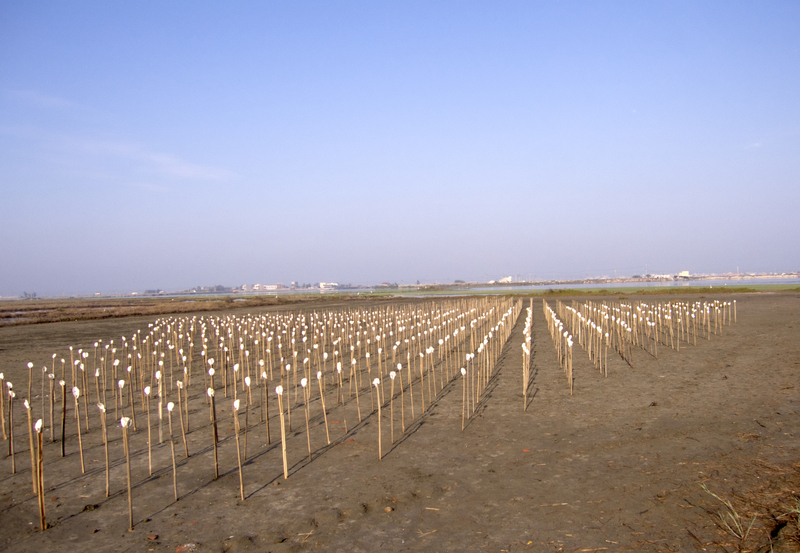 2010 was the first year of the art project in Cheng Long. 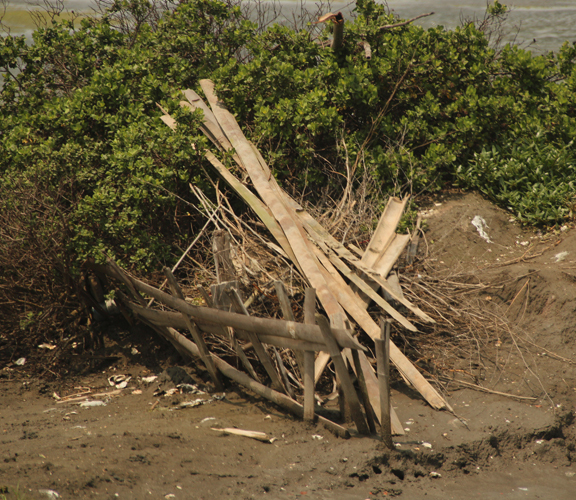 Remains of 3 of the 2010 installations are still there. The first photo shows Chia-ping Lu & Chung-ho Cheng’s work titled “Underneath the Wing” in 2013 and the 2nd photo shows it in 2010. 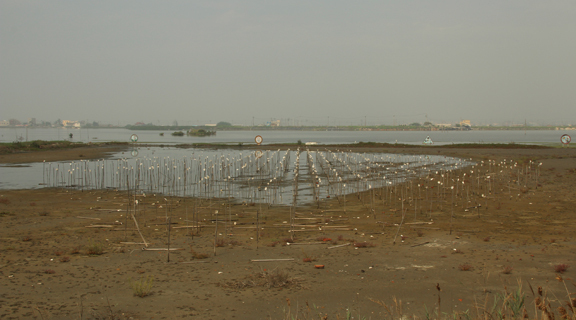 The next photo shows Myriam du Manoir’s “Migrating Birds” installation in 2013, and the 4th photo is the work when it was installed in 2010. The 5th photo is “Invasive Species” by Roy Staab in 2013, and the 6th photo shows Roy’s work when it was installed in 2010. This artwork seems to be surviving well! 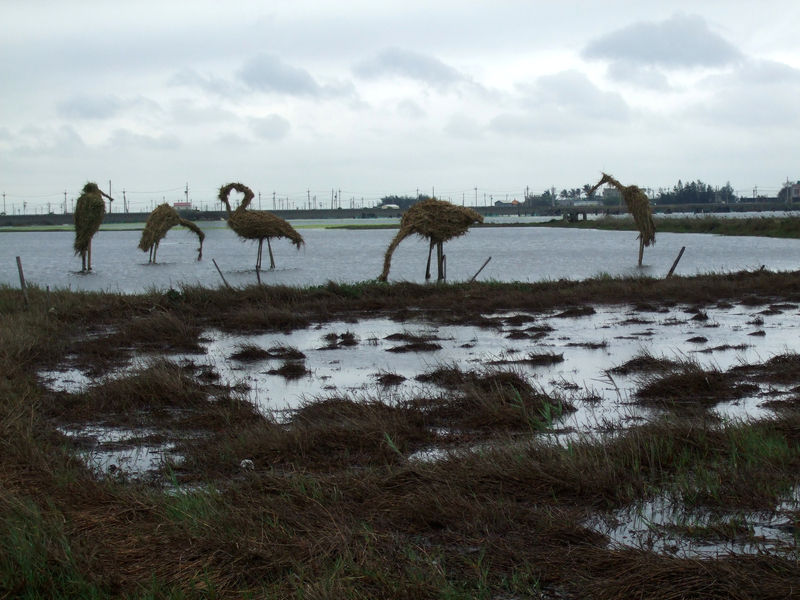 The next group of photos shows the 2011 art installations that are still found around the Wetlands in 2013. Some have almost disappeared and some parts have become resting places for bird visitors. The first photo shows “Cheng Long Spiral” by Firman Djamil in 2013, and the second shows this work when it was installed in 2011. 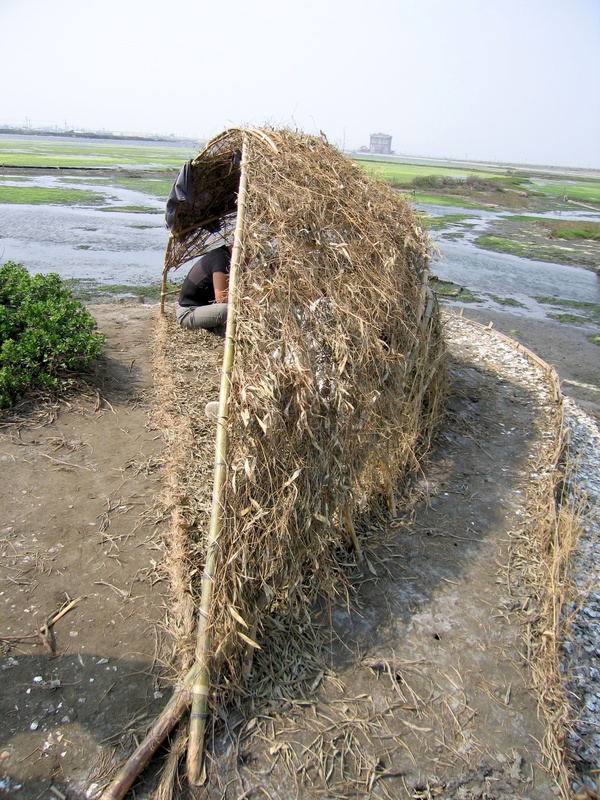 The next photo shows the remains of Hsin-yu Huang’s installation “Let’s Nest” in 2013, and the 4th photo shows how the installation looked in 2011 when it was installed. The next photo shows “Flying Boats” by Rumen Dimitrov in 2013 and the next photo how it looked when installed in 2011. 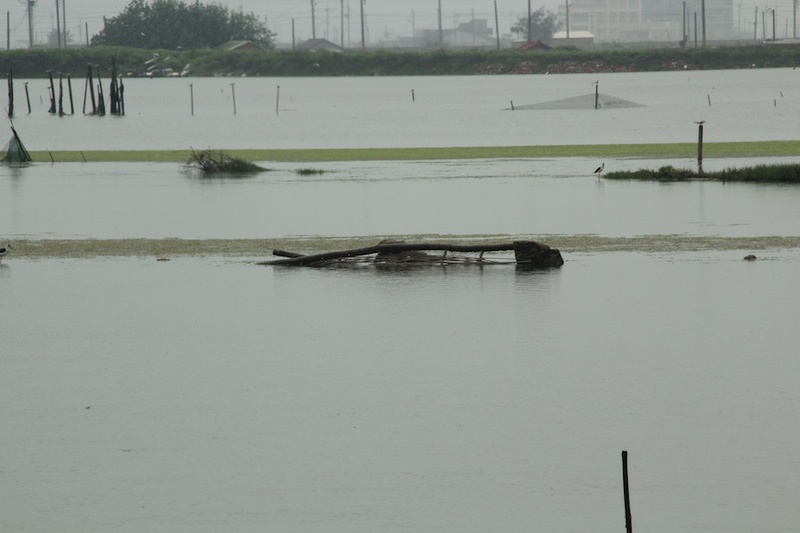 Some of the boats really did fly away and ended up beached in other parts of the wetlands as you can see from this photo taken in 2013 showing one of the “flying boats” near the “pig house” very far from where it was originally installed. 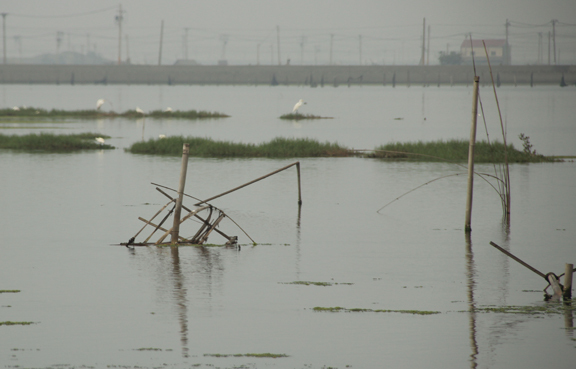 Check back later for more photos of the artworks created in Cheng Long Wetlands showing changes over time.